Chaz Mostert insists an overdue podium does not mean Tickford Racing's recovery from a tough start to the 2018 season is complete. The Supercheap Auto Falcon driver bagged his first podium since winning in the wet on the Gold Coast last October, with third in Sunday's Coates Hire Ipswich SuperSprint race. Mostert was in the top three in practice on Friday and set the second and third-fastest times in the weekend's respective ARMOR ALL Qualifying sessions. He had to settle for sixth on Saturday, though, after a grid penalty for impeding in qualifying and then an off while fighting Jamie Whincup in the race. In Sunday's longer race, he ran with Shane van Gisbergen and Scott McLaughlin in a three-way fight for the lead well into the final stint. 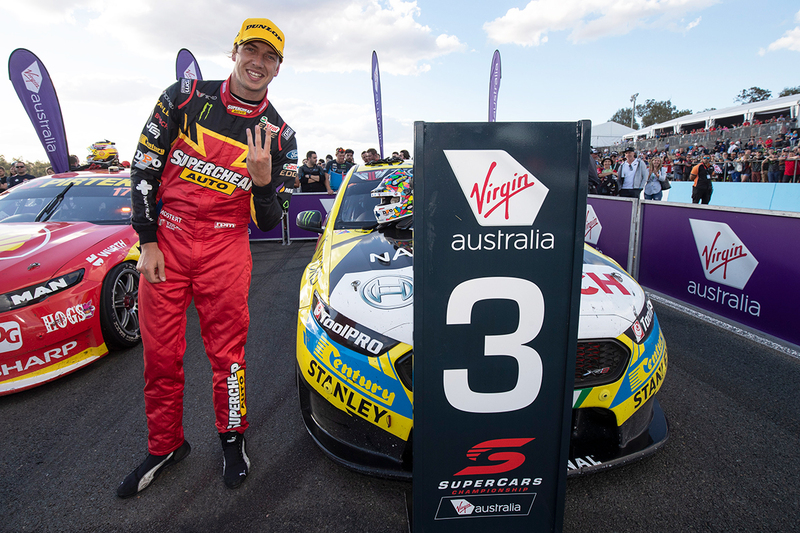 With a strong personal record at Queensland Raceway including three wins and now nine podiums, Mostert is only looking to his next result. 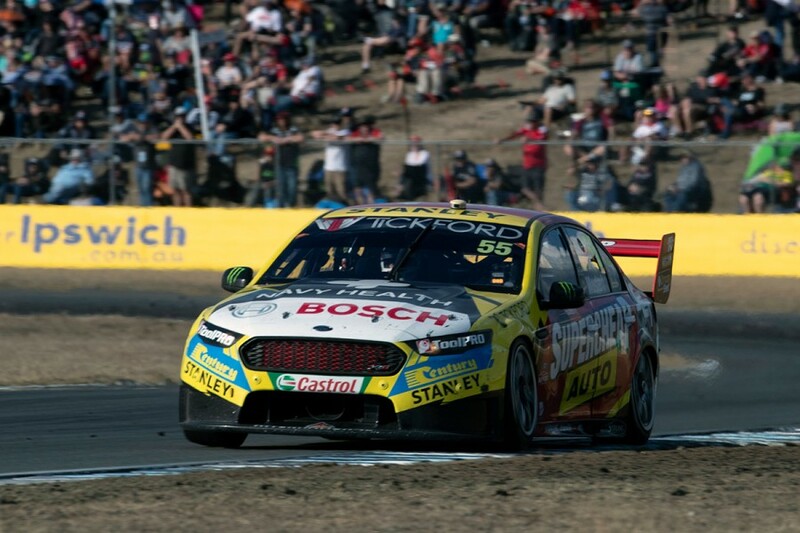 "It's a good confidence boost for our team, we've obviously been in a really tough year and this result can build some good team morale and move onto the next event," Mostert said. "I don't want to talk too much into it, 'is the car quick enough to keep getting these results?' Only results will speak for that. "Next round, [we'll] keep the same mindset, keep trying to work on our car and I think [on Sunday] there was still some things we could've definitely worked on. "[Van Gisbergen and McLaughlin] were really quick out there, we had some strengths on them but also some weaknesses. "It's just nice to be close enough to these guys to actually see what those are, if you're down in 15th, 20th, you scratch your head on where you're kind of at." The 2014 Bathurst winner moved back into eighth in the standings with his home-track results. In addition to his own Queensland Raceway form, Mostert underlined the fact he played a lone hand at the front for Tickford. Rookie Richie Stanaway has adopted Mostert's set-up direction, starting 14th and 10th and finishing 12th and 18th in an encouraging showing. 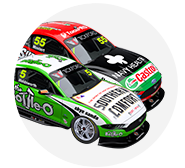 Mark Winterbottom and Cameron Waters explored other avenues, though, the latter recording the pair's best results with 17th from 15th on the grid on Sunday. 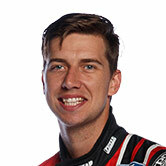 "It was one car up there, some of the other cars struggled," Mostert added. "I know we're all trying different things and that but we need to go back to the workshop, go through it and just focus on the next event. "Only time will tell if you're going in the right direction or not."